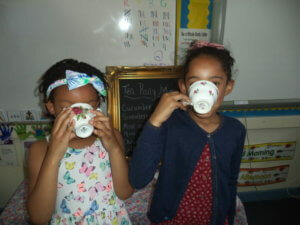 Year 1 enjoy a very special Vintage Tea Party! 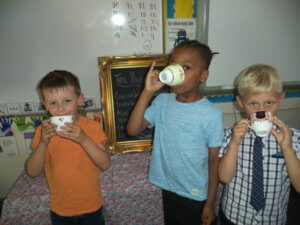 Year 1 had a very special end of term celebration! 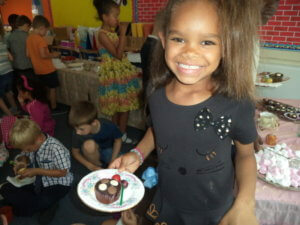 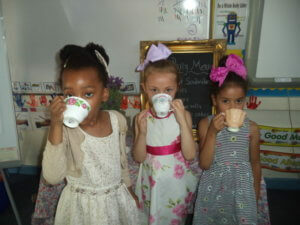 All the children came dressed in their best clothes and enjoyed a Vintage Tea Party! 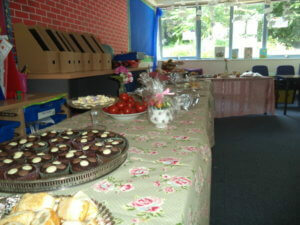 There were cakes, very dainty sandwiches and china tea-cups and saucers! 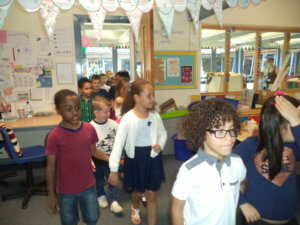 The children escorted each other into the room and then danced after enjoying the food! 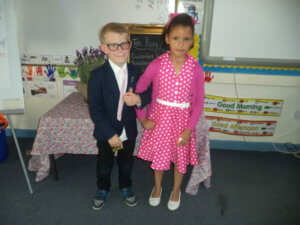 Thank you to all the Year 1 staff for putting on such a very special event!